Fighting cancer with courage, strength and grit. To honor his memory, his family created the John Wayne Cancer Foundation (JWCF) with the mission to bring courage, strength, and grit to the fight against cancer. JWCF funds novel and innovative programs that improve cancer patients' outcomes and save lives through research, education, awareness and support. The John Wayne Cancer Foundation established the John Wayne Cancer Institute at Saint John's Health Center in Santa Monica, CA and their research has led to groundbreaking procedures and treatments. JWCF also funds an innovative skin cancer awareness and prevention program for youth called Block the Blaze. We're taking John Wayne's message of hope global to help fight cancer. Our innovating fundraising programs #ShowYourGrit, Team John Wayne, and Join John Wayne are geared towards raising funds and creating awareness. Join the John Wayne Movement! John Wayne, the Man and the Legend, was a hard working craftsman who loved and perfected his craft as an actor. The DUKE, as he was affectionately known, was also a loving father, a fisherman, horseman, hunter, adventurer, and an unabashed patriot of The United States of America. He saved his writings, he saved his scripts, he saved everything of importance, and, naturally, he left crated up for over 30 years his favorite drinks and his tumblers standing still in time and waiting for his son to open the crate and let all of the words come back. He left an archive, a message, and a reserve of bottles dating back to 1963. Literally, a message in a bottle. 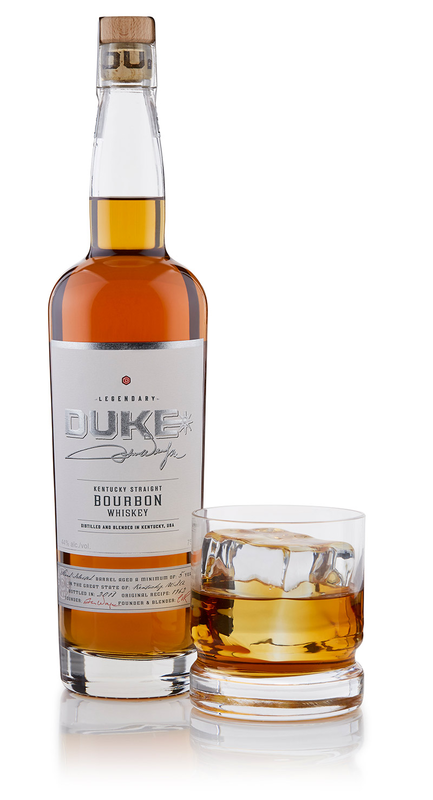 We went to the crate with our friend, Ethan, unsealed it after so many decades, and then we picked up the tumblers he had left for us and tasted the DUKE’s favorites. Sharing never-before-seen photos and stories from Duke's lifeWe are thrilled to bring you the Official John Wayne Collector's Edition, the first magazine wholly dedicated to bringing fans of Duke never-before-seen photos and unforgettable stories from the American icon's family and friends. Each issue of the 100-page deluxe magazine provides an intimate look at the larger-than-life legend. 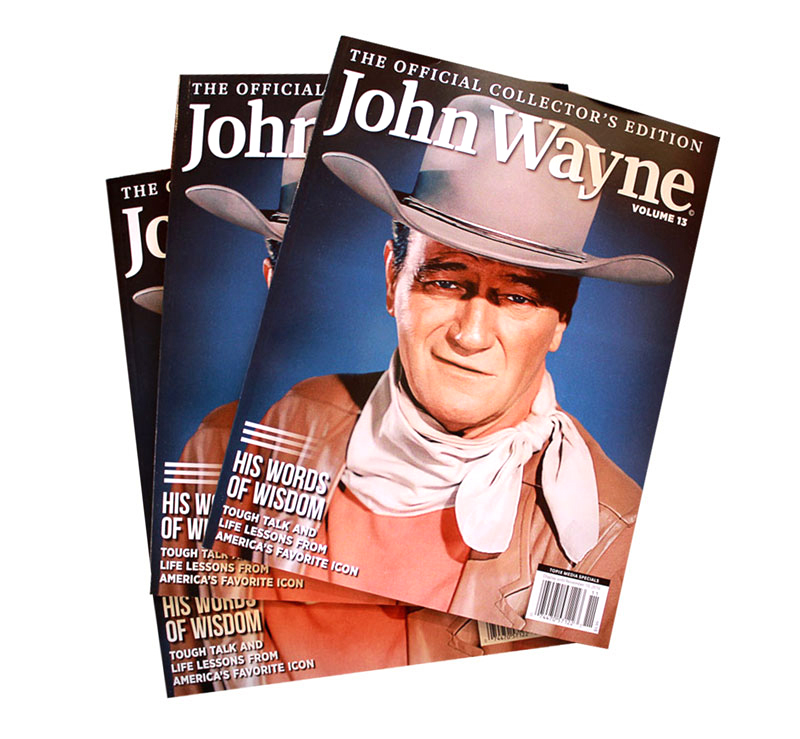 John Wayne: The Official Collector's Edition is a bi-monthly publication sold nationwide on newsstands and online. The current edition on newsstands now is Volume 22.